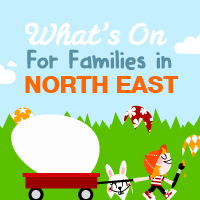 Looking for some fun things to do around the North East with the family? 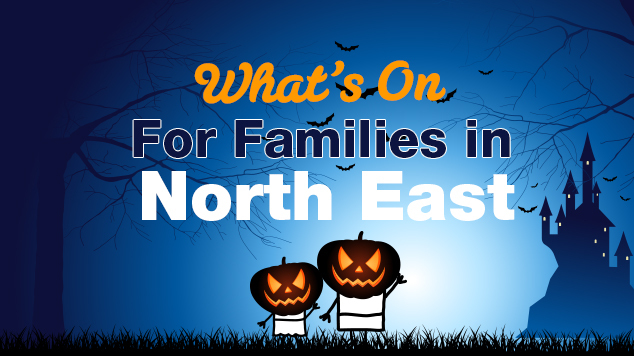 Read on – there’s some great things to do with kids in the North East this month. The Taste of Monaghan Food Festival takes place from October 7th to 9th 2016. Enjoy workshops, demonstrations and tastings throughout. Belvedere House, Mullingar have a Bat Walk in association with Bat Conservation Ireland, taking place on October 8th. The IVETA National Indoor Vintage Rally & Auction takes place at Cavan Equestrian Centre on October 16th 2016. 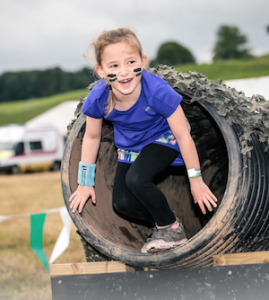 The Hell and Back Junior Endurance event takes place in Tattersalls Country House, Ratoath, Co Meath on October 22nd. Create School are running a Halloween Brick Flicks Workshop in Solstice Arts Centre, Navan on October 29th. 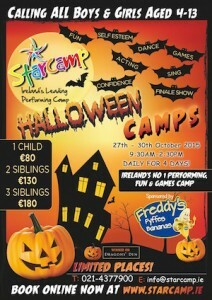 Creative Super Scary Halloween Workshops with Starcamps, camps take place in Cavan. Tayto Park House of Horrors is back for the October mid-term and this year they have added Tayto Park After Dark which runs on October 22nd, 28th, 29th, 30th & 31st from 6pm to 9pm. The Spirits of Meath Halloween Festival takes place in venues across the county this Halloween. Monaghan County Museum have a Spooky Halloween Arts & Crafts Workshop on October 22nd a Pumpkin Carving Workshop on October 29th an Art & Craft Workshop on November 3rd and a Kids Movie Day on November 4th. Lough Muckno Leisure Park have a Halloween Festival from October 27th to 30th. The Clones Film Festival takes place over the October Bank Holiday weekend, October 27th to 30th 2016, with events for young and old. The Monaghan Harvest Times Rhythm & Blues Festival runs from September 2nd to 4th 2016. September 10th 2016 sees the 8th Annual Irish Bog Snorkeling Championships taking place in Castleblayney, Co Monaghan. Fun to watch or take part in! A free public event ‘Eczema Expert: Advice for Life‘ will take place in the Red Cow Moran Hotel on Saturday 17th September 2016 to give people advice on how to live a comfortable life with eczema. The Irish Skin Foundation will also unveil a new website and a new booklet about how to manage eczema. Become a Tayto Park Ranger on September 17th & 18th to celebrate the 4th Annual Conservation Weekend. The Taste of Togher Food & Heritage Festival 2016 is on September 24th in Annagassan, Co Louth.Celebrating our viking past and showcasing local producers this will be a great family event. The Dunshaughlin Harvest Festival is on from September 23rd to 25th 2016. This family friendly festival will include a Soapbox Derby, so get building now to enter! and fun workshops and events for children. The first ever Meath Blues Festival takes place in Grove Gardens, Kells on September 24th 2016. Free camping available. Dunboyne Motor Club host the Spirit of Dunboyne Festival of Motorsport on September 24th & 25th 2016. With a parade lap of classic cars and motorcycles and family entertainment it is sure be a great weekend. The Loughcrew Autumn Equinox Festival takes place at Loughcrew, Co Meath on September 24th & 25th 2016. There will be workshops, guided walks and talks for all ages. The Le Cheile Arts and Music Festival 2016 is on in Oldcastle, Co Meath from July 28th to August 1st. 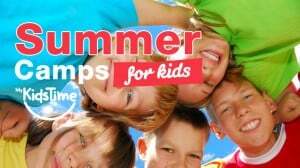 Check out The Warrior Kids Summer Camp at Bellurgan Park, Dundalk, Co Louth which starts on August 2nd 2016. The Guth Gafa International Documentary Festival 2016 takes place from August 3rd to 7th in Kells Co Meath. The Boyne Music Festival 2016 is on from August 5th to 7th at Townley Hall, Drogheda. The Big Viking Picnic in aid of Aoibheann’s Pink Tie takes place in Grove Gardens, Co Meath on August 20th, 2016. The Battle of Kells Medieval Weekend takes place on August 20th & 21st 2016. Step back in time to Kells’ rich medieval past with a weekend of jousting, re-enactments, street theatre, falconry, storytelling, living history demonstrations, lectures, archery and children’s entertainment! 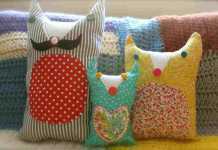 Navan Baby Market is on at The Ardboyne Hotel, Navan on August 21st. Come along to buy or sell maternity and baby products. As part of National Heritage Week 2016 ‘The Big Dig‘ takes place at Cavan Burren Park, Blacklion on Wednesday August 24th from 1pm-5pm. The Irish School of Archaeology will lead these interactive workshops where children will be able to experience life as an archaeologist. National Heritage Week 2016 has fun events for families and children nationwide from August 20th to 28th 2016. An Chúirt Chruitireachta, the annual Irish harp festival, takes place from June 26th until July 1st 2016 in Termonfeckin, Louth. Harpers of all standards from absolute beginners to advanced players are welcome. 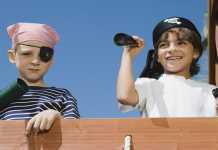 The 2016 Irish Maritime Festival takes place at Drogheda Port on July 9th & 10th. With both land and water based activities, a food and craft market and music, the weekend promised to be fun for all the family. The Inniskeen Road July Arts Evening Festival runs from July 9th & 10th, 2016 at the Patrick Kavanagh Centre, Monaghan. Vantastival 2016 runs in Drogheda on June 3rd & 4th and promises to be fun for everyone in the family, both young and old. You don’t need a campervan to attend….but if you have one, you can park it for free! The annual Tattersalls International Horse Trials & Country Fair take place from June 1st to 5th 2016 in Ratoah, Co Meath. Enjoy the Teddy Bears’ Picnic with special guest, Martin the Magician on June 6th from 2pm at the Battle of the Boyne Visitor Centre, Oldbridge, Co Meath. The Clones Canal Festival 2016 takes place in Monaghan from June 10th to 12th with the annual Soapbox Race due to be the highlight. Tayto Park are having an ‘Explore and Roar‘ after hours event on June 18th. The event includes access to rides, a BBQ and an Owl flying display. 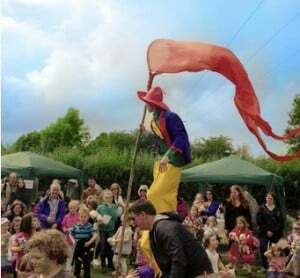 Find your inner farmer and try your hand at some sheaf tossing at the annual Trim Hay Making Festival which is back on June 19th with fun events taking place on the day and in the run up to the festival too. The Kells Hay Festival will run from June 23rd to 26th 2016 and boast a diverse program of events for young and old. The Loughcrew Opera Festival is on from June 23rd to 25th 2016 in Oldcastle, Co Meath. The Drogheda Arts Festival runs from April 25th to May 2nd 2016. With a mix of theatre, art, music, literature, indoor and outdoor activities to suit all ages. The Navan Choral Festival runs from April 28th to May 8th 2016 with a mix of adult and school choirs from around Ireland competing and entertaining audiences of all ages. There’s a Teddy Bear Adventure Walk on April 30th at the Marble Arch Caves Global Geopark. The event is part of the Cavan Walking Festival which runs until May 8th 2016. Enjoy Me Mollser at Íontas Castleblaney on May 5th, The Curious Adventures of Pinocchio on May 10th, and The Hills are Alive, the Von Trapp family story from May 12th to 14th. The Droichead Arts Centre have a host of family friendly shows during May including The 3 Little Pigs on May 7th, Grace ages Seosham on May 9th & 10th and The Cumann Exhibition which runs throughout the month. Check out upcoming Meath Library Events taking place during May at libraries across Meath. Many events are free or low cost. The Darkness Into Light annual fundraising event for Pieta House takes place in venues across the country on May 7th. Check out the list for North East here and register to take part today. Cavan County Museum will host their annual workshops for children and adults to celebrate National Drawing Day on May 21st 2016. Follow in Queen Medb’s footsteps and enjoy family friendly events along the way during The Táin March 2016 which commences in Co Roscommonon May 28th and reaches Co Louth on June 6th. Tayto Park has re-opened for the season and has some great new attractions for families to enjoy including; Ice Valley, The Grand Carousel, The Rocking Tug and a new Ferris Wheel. The 51st IABCB National Band Championships take place at Solstice Arts Centre, Meath on April 2nd & 3rd 2016. Brickflicks are running fun Stop Motion workshops at Ashbourne Library, Meath on April 8th to 10th and Droichead Arts Centre Louth on April 8th. The annual National Leprechaun Hunt takes place at Carlingoford, Co Louth on April 17th 2016. This year they are attempting to break a world record for the most Leprechauns gathered in one place and raise fund for charity. NPC are running an Internet Safety information session for Parents of Primary school children on March 1st in Cavan at St. Mary’s National School, Ballyhaise at 7.30pm Admission is FREE! They Called Her Vivaldi by Theatre Lovett runs at the Droichead Arts Centre, Drogheda on March 2nd. NPC are running an Internet Safety information session for Parents of Primary school children on March 2nd in Louth, Crowne Plaza Hotel, Dundalk at 7.30pm Admission is FREE! The Barnstorm Theatre Company presents Monday’s Child at Iontas Theater, Castleblaney on March 6th. Seachtain Na Gaeilge 2016 takes place from March 1st to 17th. With events running in every county in the North East to celebrate Irish language and culture. ESB Tree Week takes place from March 6th to 13th 2016 and there are events running across the North East to celebrate. The 2016 Drogheda St Patrick’s Day Parade will start at 12pm on March 17th from North Quay. The 2016 Dundalk St Patrick’s Day Parade will be held on March 17th.The parade will commence at 1pm and will commemorate the 100th Anniversary of the 1916 Rising. Fyffes have been announced as the official sponsor so come along and Go Bananas! The 2016 Monaghan Town St Patrick’s Day Parade is on March 17th. The 2016 Carrickmacross St Patrick’s Day Parade starts at 3pm on March 17th. Afterwards enjoy the funfair and inflatables and live music. The 2016 Clones St Patrick’s Day Parade is on March 13th at 7pm. For St Patrick’s Day 2016 Navan celebrates with the 2016 Navan Shamrock Festival celebrating all things St Patrick! This year the theme is ‘Echoes of 100 Years’, The St Patrick’s Day Parade begins at 2pm. Enjoy Fireworks at Ability Park on the evening of March 17th and McFaddens Funfair will be back in town of the festival from March 16th to 20th. The 2016 Kells St Patrick’s Day Parade starts at 3pm but there will be street entertainment from 2pm. 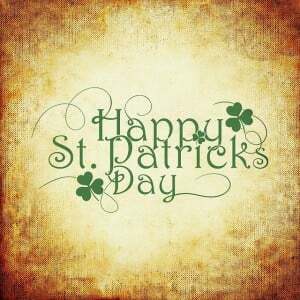 The 2016 Ratoath St Patrick’s Day Parade starts at 12pm on March 17th. The 2016 Dunboyne St Patrick’s Day Parade is on March 13th from 2pm from Dunboyne Industrial Estate. Me Mollser is on at the Droichead Arts Centre on February 2nd. 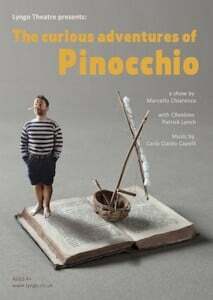 Cinderalla the Panto is on at Solstice Arts Centre, Navan until January 3rd. 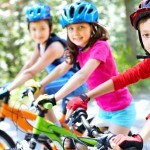 New Classes for kids will be taking place at the local libraries in Louth during January. Check the website for full details of these and ongoing events for families. The Dorichead Arts Centre in Louth will have music, dance, theatre and film for families this December. 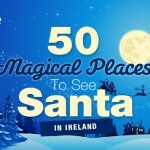 Visit Santa at Tayto Park on dates from December 1st to 23rd 2015. The Causey Farm Christmas Experience in Meath runs from November 28th to December 23rd and includes a fun show, a Bethlehem Trail to the stable, and a visit to Santa and the Christmas Cottage and don’t forget to visit the reindeer! Carlingford will have Christmas markets on December 4th, 6th & 13th and Santa Sunday is on December 13th. In Co. Monaghan, the Glaslough Christmas Wonderland opens on December 5th 2015. Iontas Castleblaney will host a Christmas Craft & Food Fair on December 6th and has a host of Christmas Family Shows on during December. Bear Essentials in Cavan are having a Gingerbread House Workshop on December 12th from 2 to 5pm. On December 23rd the East Coast Cookery School in Termonfeckin, Co Lough has a Kid’s Christmas Cookery Day from 10am to 3pm. 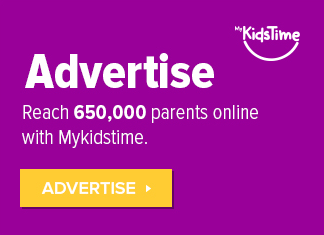 Suitable for children aged 8 – 13 years. Book Now. Celebrate the opening of Cavan Town’s new Townhall Arts Space with ‘The Festival of the Dead – The Last Waltz‘. Events take place over 4 days from October 29th to November 1st. The Solstice Centre in Meath presents Dance Force Academy in Oz on November 7th & 8th. And Eastwick Productions present a festive collection of song from school choirs from around County Meath in ‘Merry Christmas’ from November 30th to December 4th. The Éigse Oriel Weekend of céili’s and dance workshops takes place at The Glencam Hotel on Monaghan from November 13th to 15th. The Carrickmacross Christmas Market takes place on the main street on November 20th. 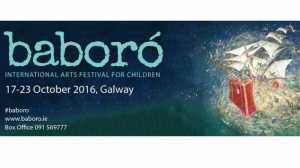 The Carlingford Choral Festival takes place in Carlingford, Co Louth from November 27th ot 29th 2015. The Guth Gafa International Documentary Festival 2015 takes place from October 2nd to 4th in Kells Co Meath. The IVETA Vintage Car Show takes place at the Cavan Equestrian Centre on October 11th. Book Now: Starcamp is back for Halloween! It is the perfect way for your child to spend their mid-term break – but please note, PLACES ARE VERY LIMITED. With songs, dances and movies scenes of a SPOOKY nature – throw in a few CREEPY games and some EERIE laughter, they will make sure that your children have a SUPER SCARY 4 days at STARCAMP! Open to boys & girls 4-13 of all levels and abilities, whether the shy and less confident type or born for the stage, camps will be running 9:30am – 2:30pm Tuesday to Friday for the midterm 27-30 October 2015. North East Camps take place in Cavan. The Spirits of Meath Halloween Festival takes place from October 16th to November 1st 2015 in venues across the county. The Secondary Schools Choral Festival takes place at the New Garage Theatre in Monaghan on October 20th with pupils from Cavan and Monaghan taking part in what promises to be a great event. The annual Virginia Pumpkin Festival is on from October 23rd to 27th in Cavan. The Clones Film Festival takes place over the October Bank Holiday weekend, October 22nd to 25th 2015, with events for young and old. Tayto Park House of Horrors is back from October 24th to November 1st. And running from October 27th to 30th they will have Tayto Park After Dark! The Ghosts of Kells are back for a spooky ghost walk and children’s movie on Friday October 30th at 8.30pm from Market Street, Kells. Book in advance as numbers are limited. The Monaghan Harvest Times Rhythm & Blues Festival runs from September 4th to 6th 2015. 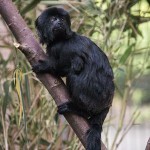 Tayto Park have just announced the arrival of 4 endangered Goeldi’s Monkeys to their animal sanctuary. 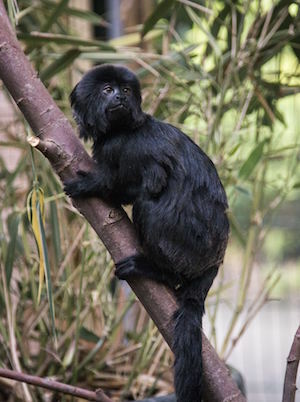 Pop in at weekends from September 5th to see how they are settling in and hear their unique high-pitched calls! September 12th sees the 7th Annual Irish Bog Snorkeling Championships taking place in Castleblayney, Co Monaghan. Fun to watch or take part in! Loughcrew in Oldcastle, Co Meath will say farewell to the light with the Autumn Equinox Festival on September 18th to 21st. Activities will include drama, walks Cinema and more. The Taste of Togher Food & Heritage Festival 2015 is on September 26th in Annagassan, Co Louth. Celebrating our viking past and showcasing local producers this will be a great family event. The Dunshaughlin Harvest Festival is on from September 24th to 27th. This family friendly festival will include a Soapbox Derby, so get building now to enter! and fun workshops and events for children. Dunboyne Motor Club host the Spirit of Dunboyne Festival of Motorsport on September 26th & 27th 2015. With a parade lap of classic cars and motorcycles and family entertainment it is sure be a great weekend. Tayto Park are having a Fundraising Conservation Family Fun Day on September 26th with €1 from every full price admission going to the fund which will help four conservation organisations. 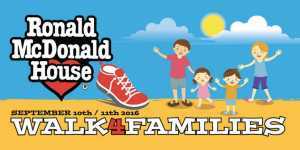 There will be fun activities for families held throughout the day. The All Ireland Poc Fada Championship takes place on August 1st, 2015 at Annaverna Mountain, Co Louth. Loughcrew House Gardens and Adventure Park in Meath opens a new Tree Climbing Activity on August 2nd. Scale a 40 foot pine tree before abseiling down! Or try out the Zipline, Playground and Garden Quiz. The Boyne Music Festival 2015 is on from August 6th to 9th at Townley Hall, Drogheda. Tayto Park has a Bug Bonanza running from August 3rd to August 9th. Come along for all things creepy crawly! Lots of events and workshops will run. Hands on History, Medieval Life in Trim is on from August 9th to 16th 2015. The Kells Hay Festival also takes place in Kells on from June 25th to 28th. In it’s 3rd year, it promises to be a great event with workshops, music, authors and much more. An Chúirt Chruitireachta, the annual Irish harp festival, takes place from Sunday 28th June until Friday 3rd July 2015 in Termonfeckin, Louth. Harpers of all standards from absolute beginners to advanced players are welcome. The Loughcrew Opera Festival is on from July 4th & 5th in Oldcastle, Co Meath. The Inniskeen Road July Arts Evening Festival runs from July 11th & 12th, 2015 at the Patrick Kavanagh Centre, Monaghan. The Le Cheile Arts and Music Festival 2015 is on in Oldcastle, Co Meath from July 31st to August 3rd. 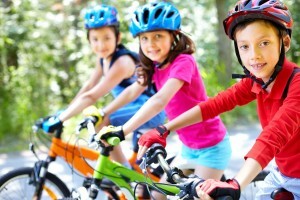 National Bike Week runs from 13-21 June with lots of family-friendly cycling events around the North East including Family Cycle Fun Days and Cycle Fest. The Tattersalls International Horse Trials take place in Ratoath, Co Meath from May 27th to May 31st. Come along to enjoy all things equestrian and free activities for toddlers and children. The Monaghan County Fleadh runs from May 28th to 31st at various venues in Monaghan Town including the VEC Campus. Join Queen Maeve for family friendly events at The Táin March which commences in Co Roscommon on May 25th and reaches Co Louth on June 1st. The Clones Canal Festival and annual Soapbox Race is on in Clones, Monaghan, from June 5th to 7th 2015. 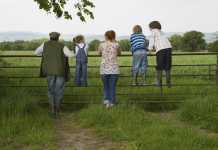 Find your inner farmer and try your hand at some sheaf tossing at the National Hay Making Festival in Trim, Co. Meath (Jun 21st). This is a fun day for all the family with working horses, vintage tractors, a pets’ corner and a chance to see a hay cocking machine in action! 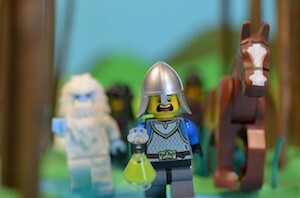 Bring your Lego Mini Figures to life at a Brick Filcks Stop Motion Workshop taster class at the Solstice Arts Centre in Navan on June 20th. 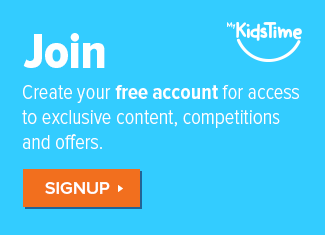 Suitable for 8 to 13 year olds. Vantastival takes place in Drogheda from May 1st to 3rd. This family friendly festival will have 3 main stages with over 80 acts performing music, dance, comedy, poetry and much more. You don’t need a campervan to attend….but if you have one, you can park it for free! Drogheda Arts Festival runs 27 April – 4 May with lots of music and events. There’s a Teddy Bear Adventure Walk on 3rd May, part of the Cavan Walking Festival which runs from May 1st to 10th. Iontas Castleblaney presents Ricuhi a show combining Circus, Magic and Dance. Check out the website to find more great events and classes and camps. 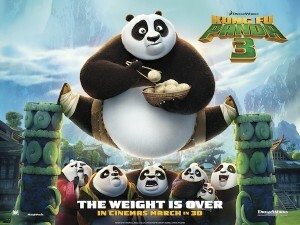 Brick Flicks are running a Stop Motion workshop on April 8th at the Droichead Arts Centre. Book your place now. There will be a Brick Flicks Stop Motion Workshop on April 8th to 10th at Ashbourne Library Book your place now. Kids Cook Cookery School in Clonee are running fun Easter Adult and Child Cookery Classes on April 4th. Become a chocolate detective for the day on April 5th at Rathbeggan Lakes. Enjoy the Easter Bumble Egg Hunt, DJ’s and entertainment with all proceeds going to BUMBLEance. Tayto Park re-opens on March 28th and is open over the Easter Holidays. Join in the Easter Scavenger Hunt on April 5th. Mellowes Adventure have a fun Easter Egg Hunt with lots of Easter Activities on Easter Saturday and Easter Sunday. The 2015 Drogheda St Patrick’s Day Parade will start at 12pm on March 17th. The 2015 Dundalk St Patrick’s Day Parade will be help on March 17th Get further information from the St Patrick’s Day Dundalk facebook page. The 2015 Monaghan Town St Patrick’s Day Parade is on March 17th. The Carrickmacross St Patrick’s Day Parade starts at 3pm on March 17th. The 2015 Clones St Patrick’s Festival starts on March 16th with a parade at 7pm. For St Patrick’s Day 2015 Navan celebrates with the 2015 Navan Shamrock Festival celebrating all things St Patrick! The Parade begins at 2pm. The 2015 Kells St Patrick’s Day Parade starts at 3pm but there will be street entertainment from 2pm. The 2015 Ratoath St Patrick’s Day Parade starts at 12pm on March 17th. Ashbourne and Dunboyne will both have 2015 St Patrick’s Day Parades on March 17th. The 2015 Arvagh St Patrick’s Day Parade is on March 17th from 3pm to 6pm. Monday’s Child with Barnstorm Theatre at Droichead Arts Centre on Friday 6th February, suitable for 4 – 8 years. Snow White & Bosco with Lambert Puppet Theatre at Solstice Arts Centre on February 21st 2015. 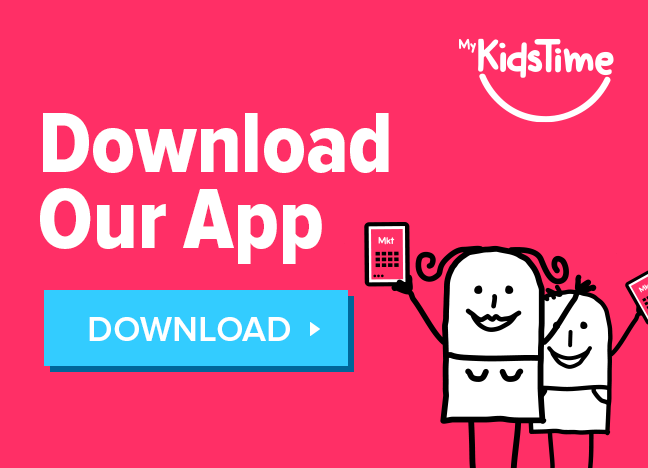 Suitable for Ages 3-10yrs. 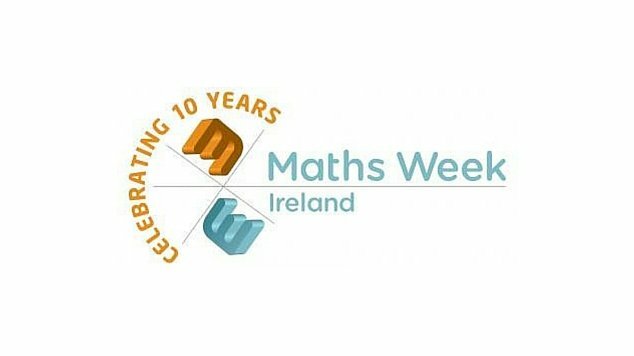 Engineers Week takes place from February 8th to 14th and there are family friendly events taking place across the North East.